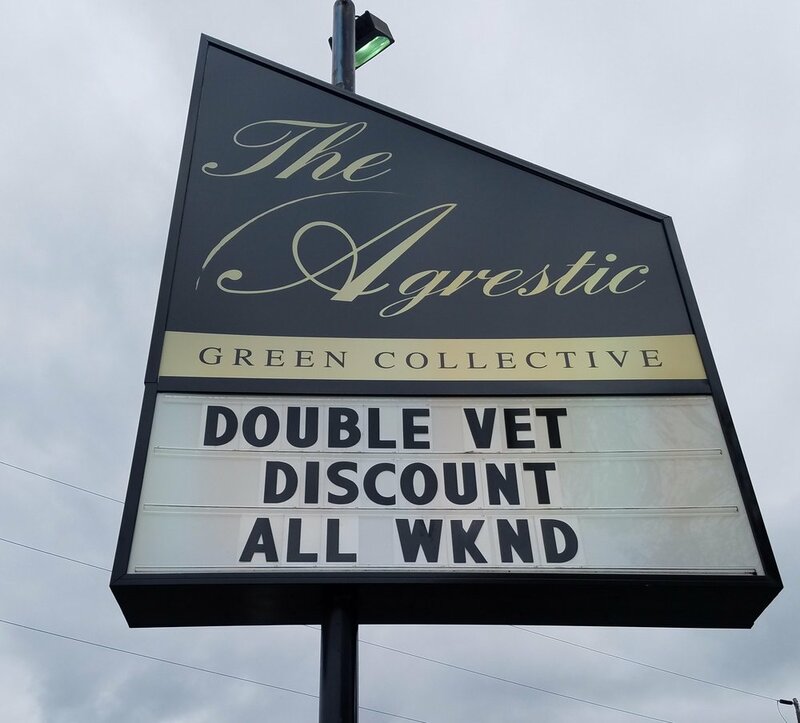 In recognition of Veteran’s Day The Agrestic is doubling the veteran’s discount Friday November 10th through Sunday November 12th! That means the veteran’s discount will be 20% this weekend instead of the normal 10%. We are also introducing our rolling service to our South location! You can now buy any of the flower we sell by weight and have it rolled up by our staff. We do up to three pre-rolls per day in either half or whole gram sizes. At North today our Deal of the Day is Clementine! Clementine is a Sativa hybrid strain grown by Pistil Point. Clementine is reduced today from R $14.40 / M $12 to R $13.20 / M $11. Clementine tests at 26.62% THC. At South today our Deal of the Day is Super Skunk! Super Skunk is an Indica strain grown by Green Acers Farm. Super Skunk is reduced today from R $10.80 / M $9 to R $9.60 / M $8. Super Skunk tests at 14.8% THC.